She has performed in numerous festivals as soloist and as an invited guest soloist by several orchestras in Europe in concert halls like the Auditorio de Barcelona main hall, Pau Casals Concert hall, Konzertsaal Hardenbergstraße, Berlin, Amsterdam Bachzaal, Copenhagen Carl Nielsen Foyer, Novelda Auditorium and the Sultan Qaboos cultural center concert hall. As well she has performed chamber music with artists like Lina Leon, Pedro Casals, Matthijs Verschoor, Verena Sennekamp and Isabel Rodriguez becoming prize winner in chamber music competitions, editing CDs with the label Quality Classics and performing in renamed halls in Europe with great success of critics. 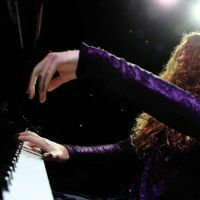 She has been invited guest teacher in masterclasses in Spain, as well as summer courses and festivals. As docent, she has been tutoring a large number of students as Piano Professor and Accompanist in the Reus Conservatory of Music, Spain (2005-2009) and Piano Professor in the Music Department of the Faculty of Arts at the Sultan Qaboos University (2009-2011). Currently, she has her residence in Sydney, Australia undertaking her doctoral research DMUS at Conservatorium of Sydney-2012-2015.